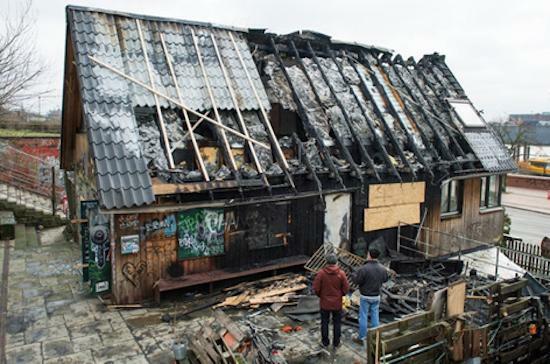 Hamburg club Golden Pudel has issued a statement following a fire in the building that houses the club over the weekend. The fire, which happened in the early hours of Sunday morning, swept through the (now closed) café above when there were around 150 people inside the club. The fire is being treated by investigators as a likely act of arson. The club is currently at the centre of a legal dispute between the building’s two owners, Rocko Schamoni and Wolf Richter, with the building set to go up for auction on April 20.